KONDO KAGAKU Co. Ltd opened a new wireless LAN board for hobby robot on Sep 6th, 2013. 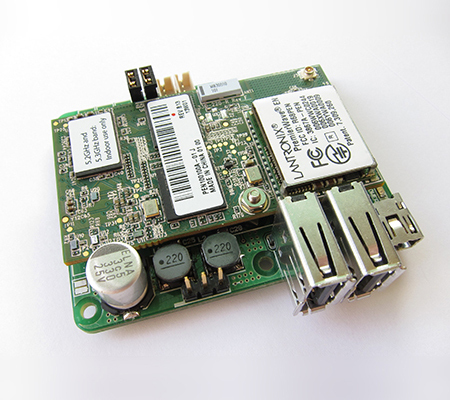 KCB-4WL is a board for remote controlling robot system with KONDO robot controlling board RCB-3HV or RCB-4HV. It seems to be useful for such as autonomous robot, multi-legged robot game etc. KONDO KAGAKU Co. Ltd put KCB-3WL, previous version of KCB-4WL on the market in 2010. Details of the KCB-3WL were also described in this blog. The new board, beta version was put on the market and the complete version will be put on the market in the end of this year. The price including all systems is 31,500 yen (including tax).